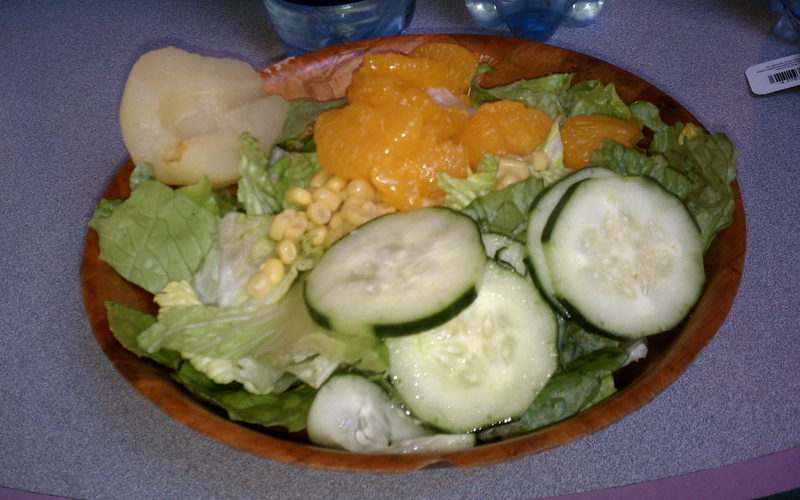 Myth or Fact: Lettuce on campus is sprayed with carbohydrates? This question sounds ridiculous, I know. Although, numerous students around the dorms have mentioned to have heard this as well. Corey Evans, a third year English major, works at Metro on campus and said he has NOT heard of the lettuce being sprayed with carbs. He started laughing when I mentioned it. At first, I was concerned when I heard about the carb spray. Now, I don’t blame Corey because it sounds a little ludicrous to myself. Metro allows some students behind the counter to cook, but according to Corey, it’s a pretty clean atmosphere. There is nothing out of the ordinary; Metro offers the same food as last year, and installed hand sanitizers because someone requested it. Evans adds that this year, students seem unhealthier. Students order more from the grill which has a lot of fried food options. On campus, P.U.L.S.E. is a health education program which stands for: Peers Understanding, Listening, Speaking and Educating. 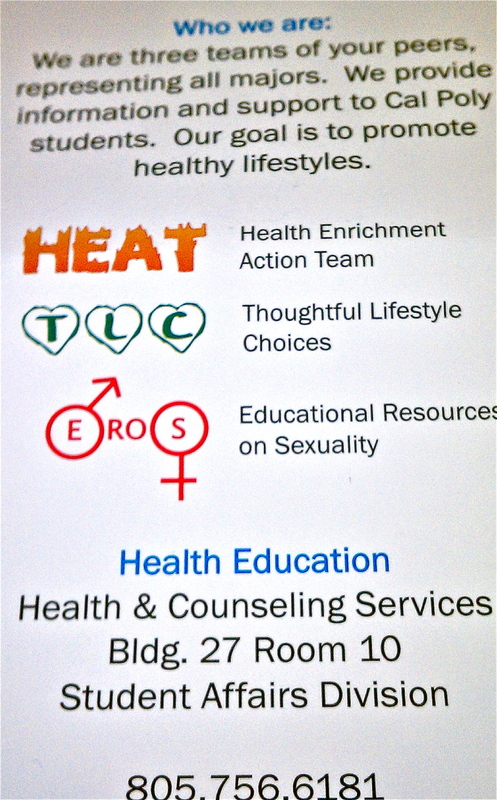 It is compiled into three teams: HEAT, TLC, and EROS. Carla Globerson-Lamb is part of the EROS team, but is also a nutrition major. She is not familiar either with the rumor of lettuce being sprayed with carbs. Carla recalls eating at the grill a lot, even though it was unhealthy. “The food is too oily, buttery, and salty. There is too much added, and a ton of sugary options available. The healthy food choices are not high quality either,” said Globerson-Lamb. To top it all off, we are given huge portions. At home, we were taught to finish what is on our plate, so we tend to overeat with big food portions. At P.U.L.S.E., there is the HEAT team which offers free health and wellness assessments and/or information. Students can seek health advice, and some receive extra credit for a dietary analysis in classes like Kinesiology 250. Emily Dewey is a first year student at Cal Poly, and is not enjoying the food on campus. She sees no nutritional value in the food, not in the broccoli or the lettuce. “I have found multiple black hairs in my food too!” said Dewey. 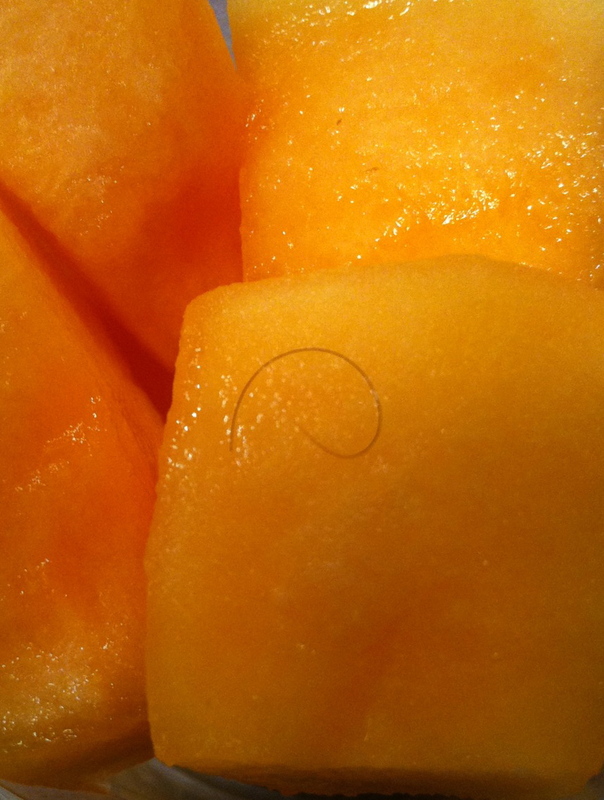 Below is the hair on her cantaloupe inside one of the grap-and-go fruit cups you can buy for $3.25. Emily also found a hair on top of a ravioli she was eating for dinner one night. It definitely does not belong to her because she has blonde hair. She is not the first or only one to spot hair in their food either. There is a Facebook page called “I Hate VG’s“. Students eating on campus seem really unhappy with the food dining options. The contamination of hair, poor nutrition, and lack of REAL healthy food options leaves a sour impression on students. Spraying carbohydrates on the lettuce may be a rumor, but it would not amaze me if the restaurants were spraying the lettuce to preserve it and make it look fresh.